I have never wanted an iPhone until now. Tonight during an incredible evening of music from Avocet, Fertile Crescent and Lucky Dragons, the endlessly clever Tim O’Reilly was kind enough to play a melody of his own for me, on his mobile. I was stoked. 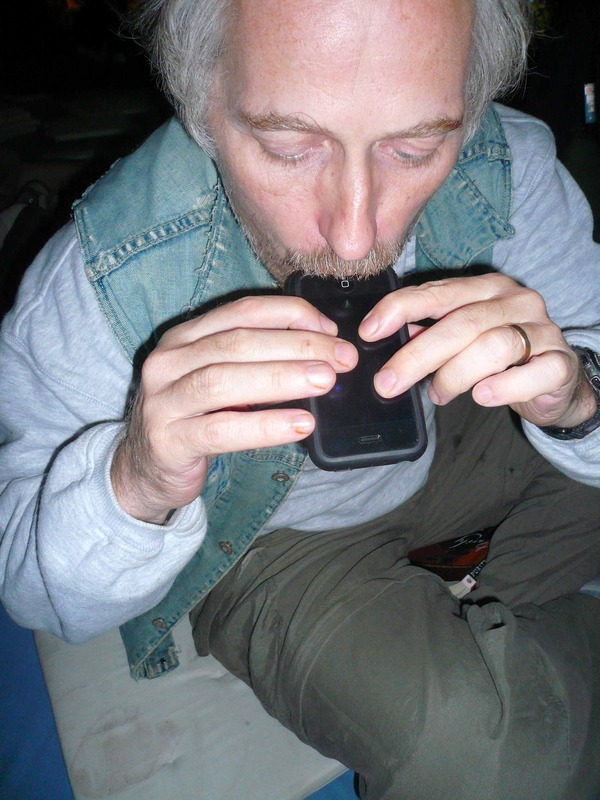 In the context of a night of crazy electronically generated music Tim’s wee phone making ocarina sounds as he gently blew into its top “mouthpiece” was right in tune with the vibe. Tim could charm any snake. The post Blow Blow Blow Your Phone appeared first on Gravel & Gold.